Gary J. Siano : NEXT FINANCIAL GROUP INC.
Gary J. Siano is President of Guided Wealth Management LLC. Gary is a graduate of West Chester University (’82). Gary holds the following licenses: Series 7, Series 65, Series 24, and Series 53 in the following states Pennsylvania, New Jersey, and Florida. 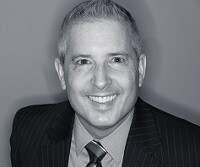 Gary is also licensed to sell life and health insurance as well as fixed and variable annuities. He lives in Downingtown, PA along with his wife, Kerry, and daughters Tara and Kaylie.